Places at Meet the Artists are free but must be booked in advance by emailing your request to applications@imaginate.org.uk with Meet the Artists as your subject line. The Lyceum Rehearsal Room has lift access from street level to venue level, level access from main entrance to lift and there is an accessible toilet on the same level. If you have any other access needs including child care costs, talk to us by contacting Fiona Ferguson, Creative Development Director. Join Imaginate at the Lyceum Theatre Rehearsal Room for an opportunity to meet and discuss touring work for young audiences with programmers, venues, producers and organisations from across Scotland. This is an informal networking event facilitated by Imaginate staff – an opportunity to spread the word about your touring plans, style of work or other ideas you would like to discuss. 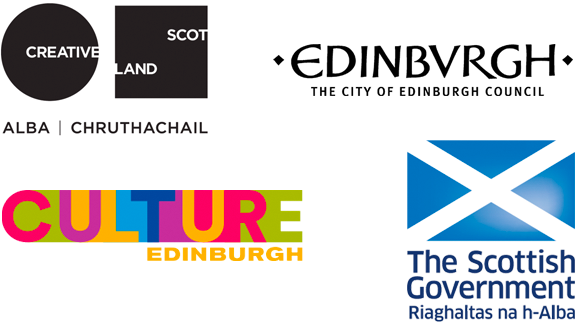 Venues, organisations and producers currently signed up to be there include Summerhall, Dumfries & Galloway Arts Festival, Tron Theatre, North East Arts Touring, Edinburgh Festival Fringe/Made in Scotland, Scottish Theatre Producers, Theatre in Schools Scotland, Platform, Traverse Theatre, Creative Scotland, Ricca Ricca Festa (International Theater Festival Okinawa for Young Audiences, Japan), Edinburgh Performing Arts Development (EPAD) and of course Edinburgh International Children's Festival. There will also be the opportunity to carry on discussions when the event will move to the Traverse Theatre Bar for Imaginate and Starcatchers Christmas Social to which all are welcome. We would like all of our events and opportunities to be accessible to everyone regardless of any physical, economic or any other barriers. We have a budget to support this so if you would like to talk with us about how we can help please contact Fiona Ferguson, Creative Development Director.